After taking in one of the presentations by Music PEI, as part of Music PEI week, I decided I would indulge in a WinterDine meal at one of the local establishments after the Music PEI event was over on Saturday. First up, I called Lot 30, who was booked for the entire weekend. Secondly, I rang Sims Corner to see when their WinterDine menu kicked off. Sure enough, it started at 4pm however, the lady proceeded to tell me that since it has been such a hit, they will also be offering it next week! Great I thought, Iâ€™ll take theirs in next week. Then I decided upon Gahan House. I dropped in and was served a table much quicker than my last visit and while the server forgot the WinterDine menu, I asked her how many options they had on it. She replied "one", I said Iâ€™ll take it! Her next question was, are you allergic to fish or anything? I said nope! Shortly thereafter, came the appetizer. 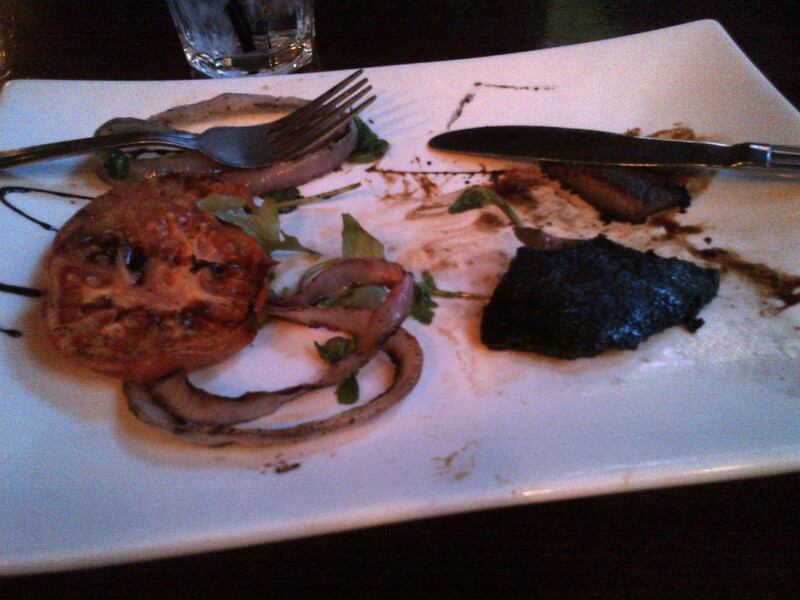 It looked semi-good and consisted of tomato, portabella mushroom, red onion, balsamic dressing. Obviously I skipped the red onions and ate the greens. After this, I proceeded onto the mushroom, which I had no idea was mushroom at the time. The first few bites were good however, halfway through it, I noticed the taste was different. I flipped it over and it looked burnt. My waitress came over shortly thereafter and asked how it was. I then asked her if the mushroom was supposed to be blackish. She informed me sheâ€™s not sure as my meal was the first WinterDine meal she had served. She then said sheâ€™ll go check with the chef and brought my plate in. Shortly thereafter, she came back and informed me the presentation of the food was correct as the chef likes it a bit burnt. A bit after this, came the main course. At this point, I didnâ€™t know what is coming. After all they only had one meal, so that was the meal I was receiving. When the main course did arrive, I was a bit shocked. 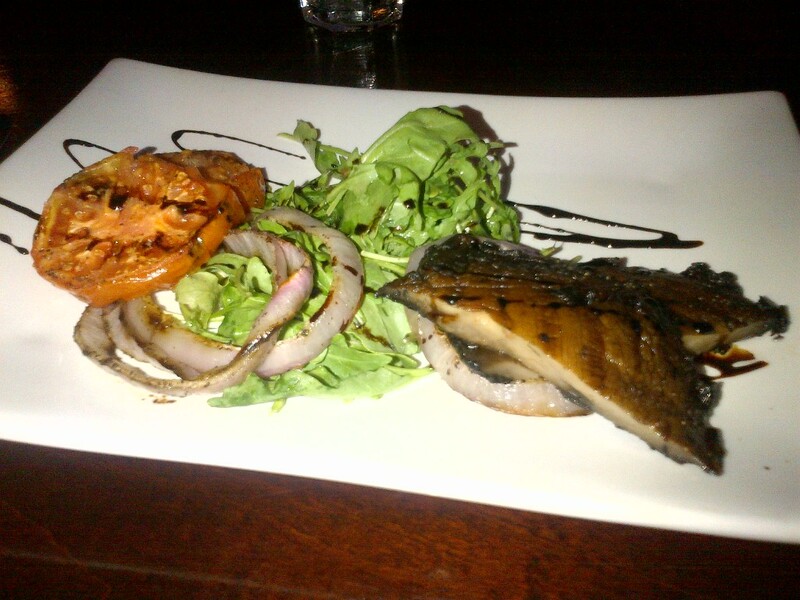 To date, most main courses have been a good combination with multiple items on my plate. I asked the waitress what it was and she informed me it was the Seafood Curry Pot Pie. Great I said! 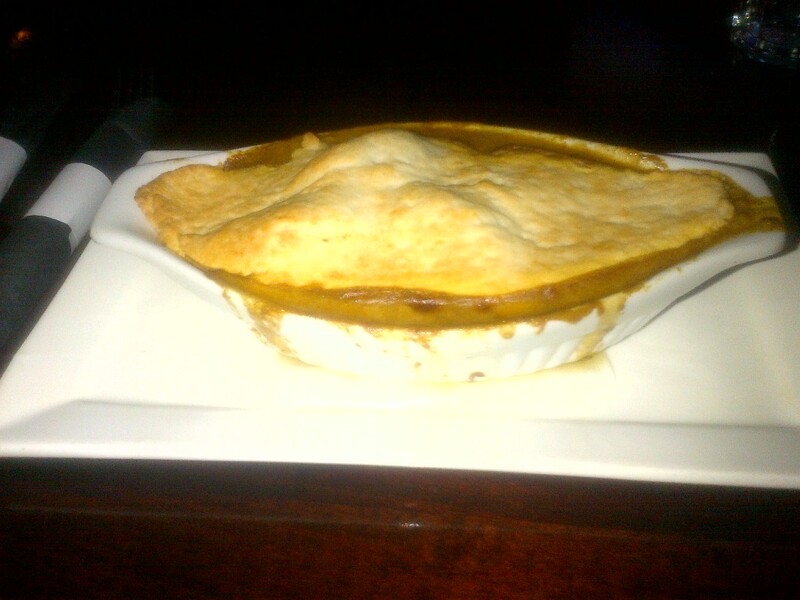 This was the first pot pie Iâ€™ve had on the WinterDine menu and I was surprised it didnâ€™t include any vegetables. So, I dug in. After a couple of bites, the waitress came back with another small plate of veggies. I continued to eat away. My first reaction was, this tastes good! Surprised, I was thoroughly enjoying the pot pie. As I continued to eat, I appreciated the tad bit too hot meal, pretty much finishing the whole thing. Looking back, I didnâ€™t take the opportunity to combine the veggies with the pot pie, but I did think it was an enjoyable meal. Not one of those knock your socks off meals, but a good enjoyable one at that. Last up, the dessert (<-Notice the double s ;) ). The dessert was simple though it was kind of disappointing they merely just put it on a plate to be served. 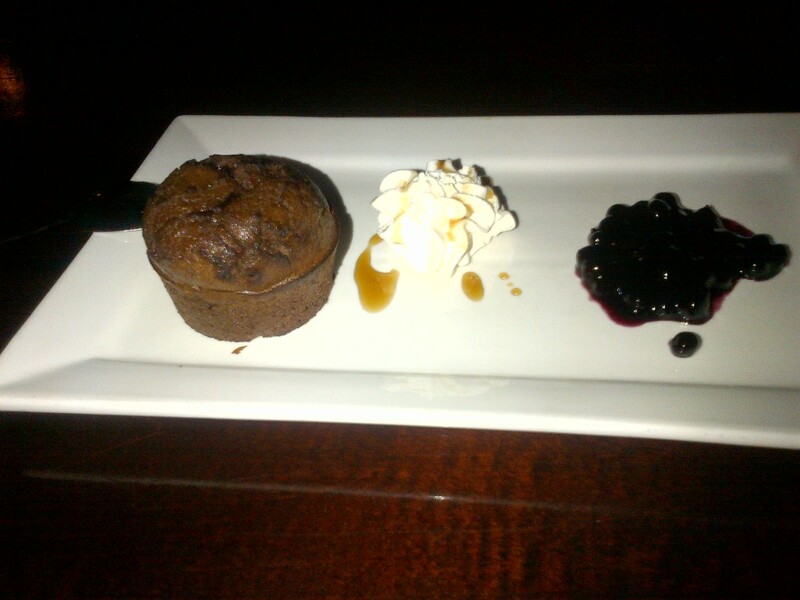 A nice touch from the previous desserts was to add some classy look to it, nonetheless I dug in. The dessert was exactly what I thought it would be. Again, not super delicious, but it was good. All in all the food was good. It didnâ€™t seem like there was a lot of thought put into the items, as it was more so, letâ€™s serve them food as quick as possible. All the other WinterDine locations were careful in how the food appeared, but not the Gahan house. This was sorta disappointing as I consider Gahan more of an upscale spot then some of the other spots I had visited. So, how many times was my glass empty? More than the other restaurants. This was the interesting point for me. For the most part, I thought Gahan was overstaffed. There was no less than 2-3 staff always within 2-5 meters of my table yet my glass was empty for longer periods than the other restaurants. What was most interesting was a staff member (not my waitress) came over and filled up my glass of water without saying boo. Similar to my experience at Mavorâ€™s, I found my waitress was always running around doing something. In this case, she seemed to be working hard while her co-workers werenâ€™t too concerned. So, was I happy with how my waitress served me? Yes. She was attentive, did come over with refills often. Lastly, when I got up to pay, I never look at the bill, especially for WinterDine. She rang it through and I noticed on the debit machine it only said $23.10. As I am pretty sure all the WinterDine meals were $25 or $35, I mentioned to her about the mistake in price. She informed me that she did not charge me for the appetizer and discounted the bill as such. I was impressed she spoke with the manager after I asked about it being burnt and after the chef said thatâ€™s what its suppose to look like. As such, I hope she receives a good portion of the tip I had left.